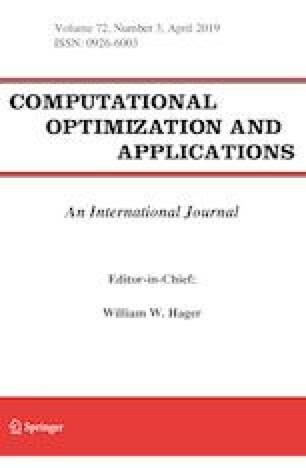 This paper develops a mixed integer programming model for determining uncapacitated distribution centers location (UDCL) for B2C E-commerce. Based on the characteristics of distribution system for B2C E-commerce firms, the impact of supply cost of multi-commodity is considered in this model. Combining with the properties of the semi-Lagrangian relaxation (SLR) dual problem in the UDCL case, a two-phase SLR algorithm with good convergency property is furthermore developed for solving the UDCL problem. For the sake of contrastive analysis, this paper has performed computational experiments on 15 UDCL instances by the mixed integer programming solver, CPLEX, and the approach obtained by combining two-phase SLR algorithm with CPLEX, respectively. The numerical results show that the two-phase SLR algorithm not only can improve the solving speed of the CPLEX solver, but also can provide better results in reasonable time for most instances. This work is supported by the National Natural Science Foundation of China (Grant No. 71401106), The Ministry of education of Humanities and Social Science Project (Grant No.16YJA630037), the Shanghai Natural Science Foundation (Grant No. 14ZR1418700), the Hujiang Foundation of China (Grant No. A14006).